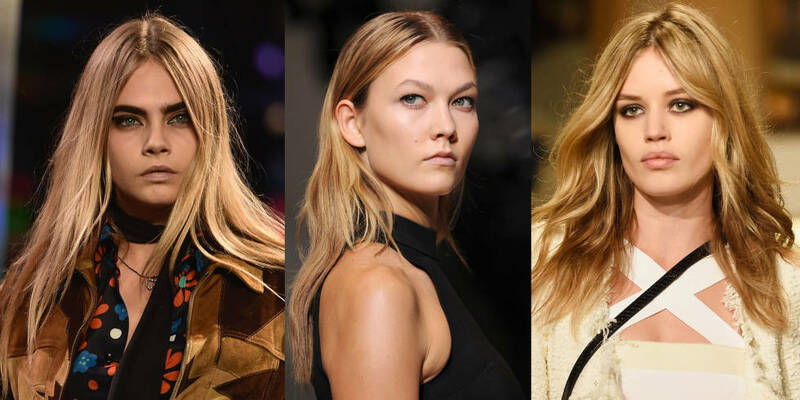 We have been observing the hair fashion since the start of the year, from runways to the looks celebrities are sporting. International, desi and everything in between, and now here in April, we believe the trends have started to emerge. So, what’s hot and what’s not, for all you wonderful ladies of Jaipur, here is the quick guide to stepping up to hairstyling 2015! Cues for the cuts and hair styles for 2015 – easy, spontaneous, free spirited, Bohemian, meaningful. Length is back, and it is hippie! First things first. There is a definite trend gravitating towards cascading locks in all spring-summer shows – Chanel, Ralph Lauren, Emilio Pucci, . Boho waves, as carefree the phrase may sound, requires effort, and we suggest a soon-visit to the salon to get the perfectly undone tussled look. You don’t want to be the prim and proper lady who sits wondering about her hair, you are the woman who goes out and lives it up! 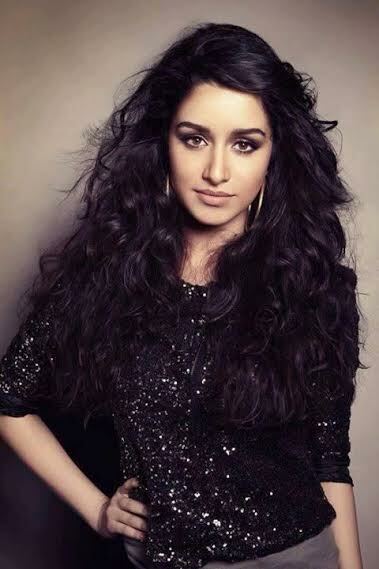 Shraddha Kapoor pulls off the tussled boho look with her wavy hair. Nicely done! Bob and lobs are making a resurge, almost side by side with the boho trends. Sleek and no-frills, bob is 2015’s finest way to make a statement that you’ve arrived. The cut exudes power, while remaning essentially feminine. And it is quite a rage with Bollywood A-listers too! 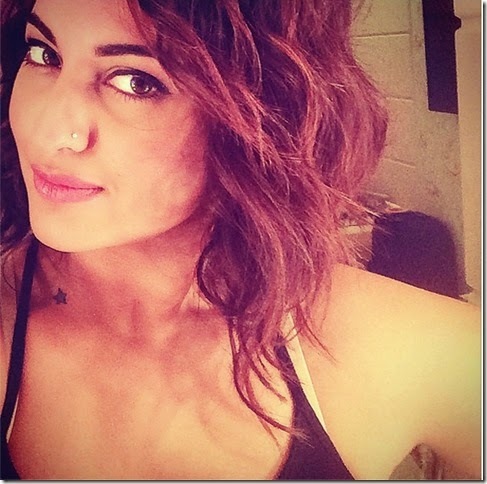 The wonderful Sonakshi Sinha looking gorgeous in her new bob avatar. Notice the electric highlights adding on! 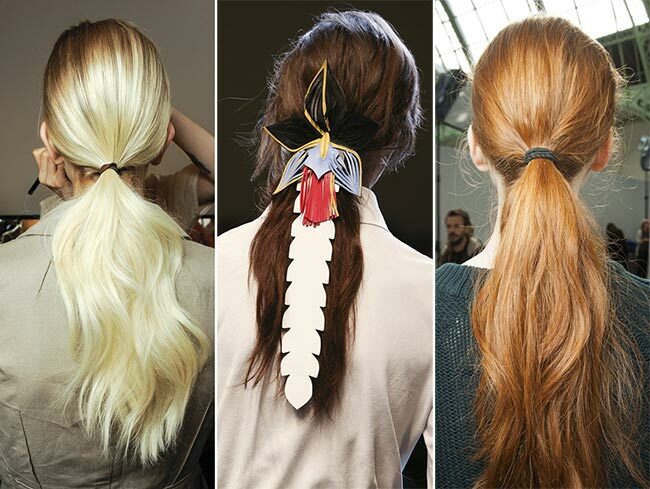 Who could have thought that the old school ponytail will be a favourite with stylists this year! But, indeed it is! In an uber-cool avatar, ponytails have come back completely re-invented, and is your handy hack to look chic and stylish, effortlessly. Look out for variations – dishevelled, sleek, softly crimped, there are many sub-styles you can try out according to your hair length and texture. Different ponytail variations seen on international ramps. 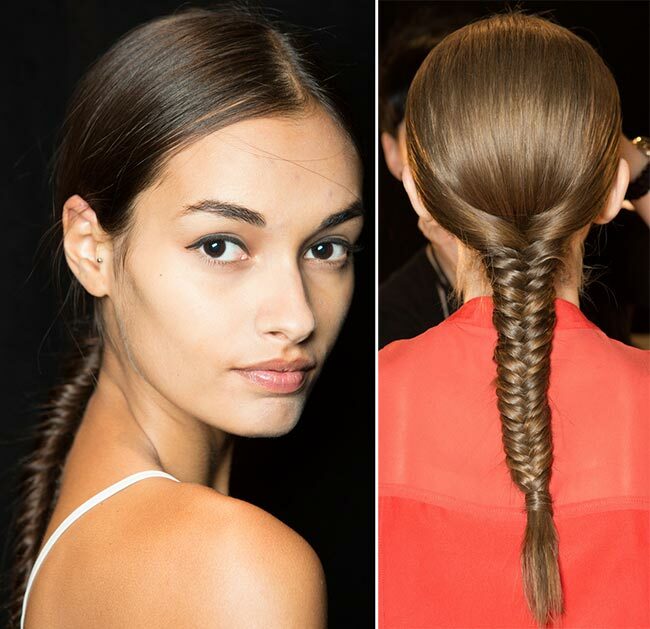 Never underestimate the humble braid. International fashion shows are bringing in line after line with eclectic braided styles. We let the pictures speak. And yes, we are in awe, and want, want, want you to try different pleated styles out! 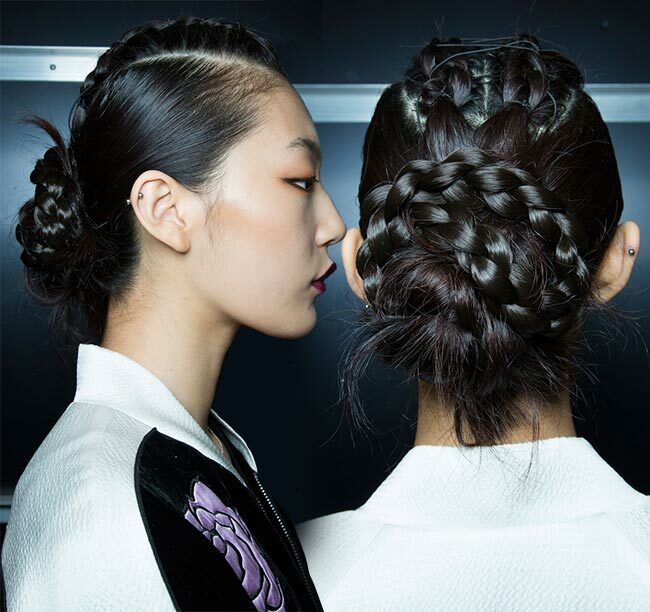 The edgy eclectic braided bun seen on Bibhu Mohapatra’s show. 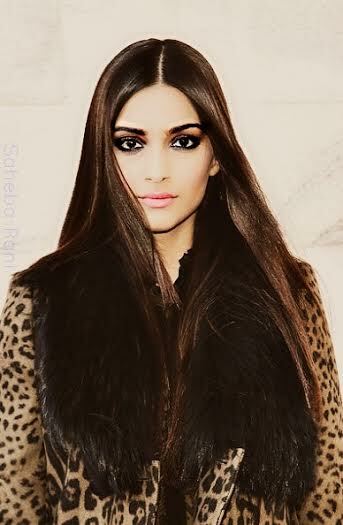 Ombré ruled the roots in 2014. While the trend has not faded altogether, 2015 is all about ecaille. The French word for “tortoiseshell” (we frankly don’t know where THAT bit came from), ecaille is all about dark, caramel tones paired with warm honeys. Babylights that fit your face-frame, complimented by softer tones on the side. We recommend these ladies for pulling it off well – Jessica Alba, Blake Lively, and the ever radiant Katie Holmes. Of course, the Indian skin works differently for highlights, but if you want the truly international look, the right stylist will create the perfect adaptation according to your skin and hair tone. Ecaille hair colour – ruling 2015 so far! Surprise Surprise. Undercut is in town! The wrecking ball phenomena has seeped all the way down. 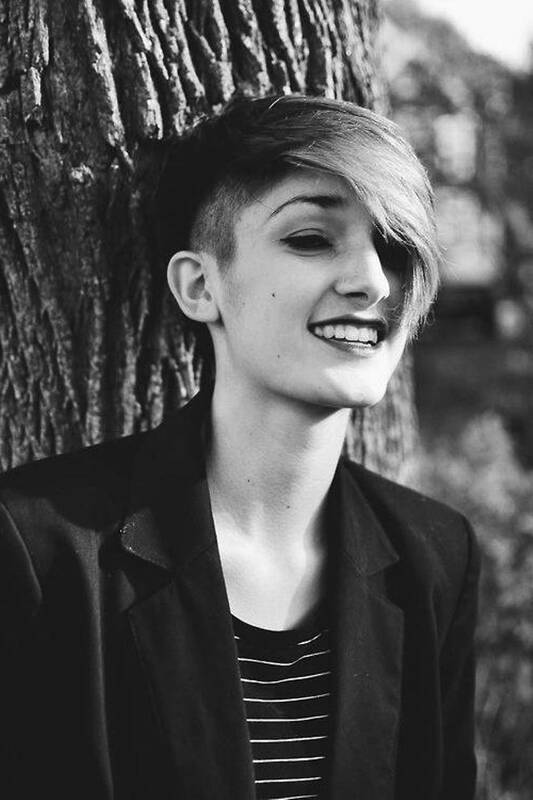 We see too many fashionistas pulling off this quirky cut. If you have the workplace milieu and the personality to pull this off, why not go for this? Remember at the end of the day, it is your hair, your personality, and your comfort level. A good stylist knows all the latest trends, but she also figures out what you want, and what looks good on you.